Waking up in Sapareva Banya on Saturday, the forecast was 36 degrees and looking up at the clear blue sunny skies and smelling the clear air and slight mist clinging to the mountain slope. Â This sensation confirmed my view from a visit last year, that this is a very special area and required an assault on the Seven Rila Lakes. 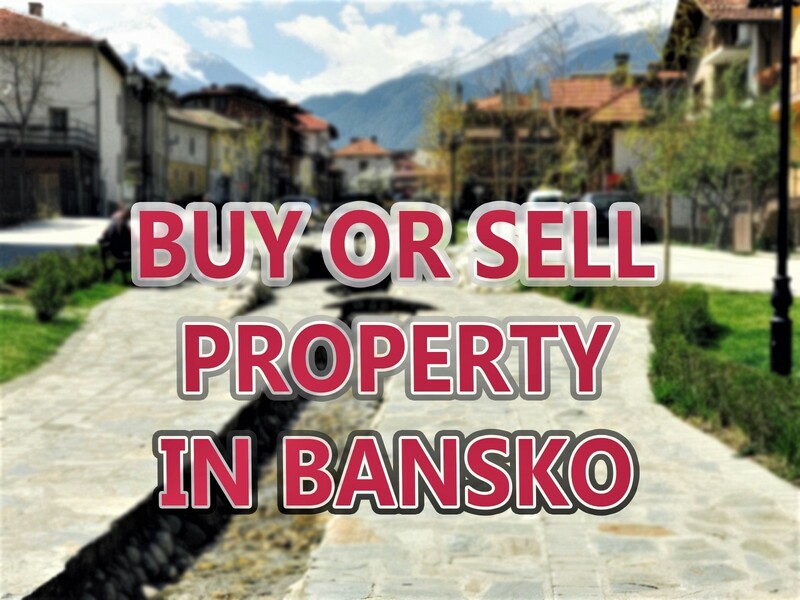 Sapareva Banya is found on the northern slopes of the Rila Mountain Range – the ones that you see shining pink in the evening when viewed from Bansko. High above we find the stunning 7 Rila Lakes – a place I was felt sure would yield up its magic to me. If you are driving by car take the main E79 south of Sofia take the turning at Dupnitsa from there follow the signs to Sapareva Banya. This journey will take just over an hour and all the roads are fast and in excellent condition. If you take the bus. Its straightforward. At the Ovcha Kupal bus station there are hourly (modern) buses to Dupnitsa (10 leva return). To here expect an hour from the station. 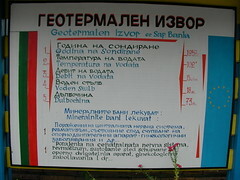 From Dupnitsa there are buses through the villages to Sapareva Banya. From there you can grab a taxi (or take a taxi fom Dupnitsa). Taxis are cheap for foreigners at, typically, around 0.59 leva per kilometre. If you wish to stay in Sapareva Banya then there are serveral options: go to https://saparevabanya.org for more details. But the recently renovated Germanea hotel (with swimming pool) is a good option. Alternatively, check out a travel agent and take a day trip coach tour from Sofia. Try tural.bg for tours here and elsewhere. Its well worth check out the spring geyser here. Its the hottest in continental Europe and, with a very high suphur content, is renowned for its curative powers. 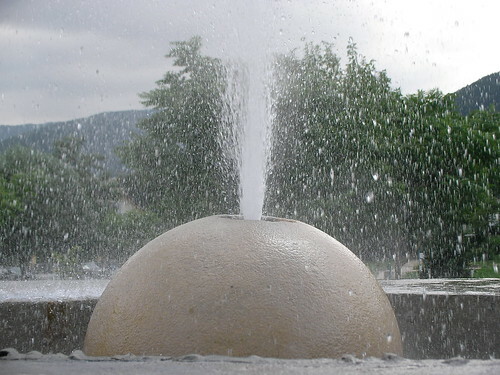 There is a pleasant restaurant by the geyser and its well worth spending some time here. A few more modern apartments and hotels and bars are opening up soon in the general Sapareva Banya area. But overal place is quiet and unspoilt. Many houses are now refurbished and bedecked with terrace and patio flower arrangements. I found this Bulgarian “translation” into Latin transliteration rather amusing close to the geyser above. With the picnic packed, and boots at the ready, the 20 minute drive up the new road to the base of the new Pionerska chair lift in Panichishte was a feast for the eyes. The video below is on the way down the lift, as with over an hour’s queue we decided we would stick to our plan to walk up. But before Â I go on about the wonder of the Seven Rila Lakes, let me say how surprised to see the hundreds of cars and many coach trips that had descended on Panichishte and the lift area. The queue was well over an hour. But in the sunshine everyone seemed just happy to be there. We were there to hike up – so after a few photos it was time to set off. Visitors were mostly from Sofia, and the many smart cars were decanting the occupants. 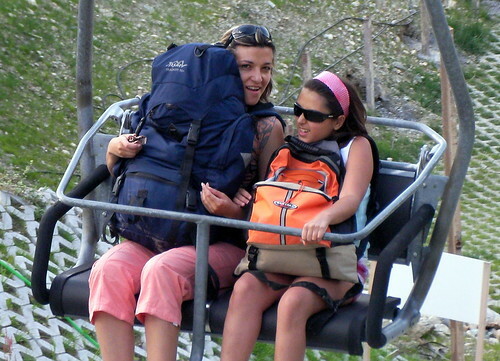 With around three quarters of people there to take the 15 leva return (10 leva on way) chair lift to the Lake area, it seemed that this lift is set to remain popular. 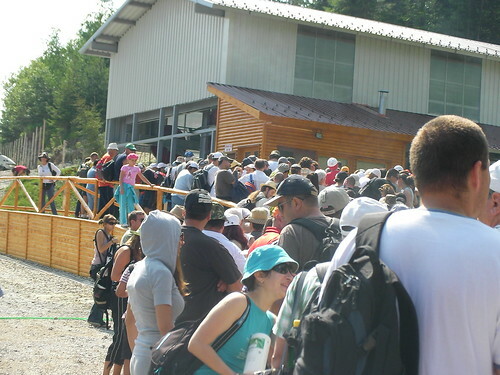 The new lift had created, what we later found out to be, 2,000 tickets sold on Saturday (around 30,000 leva income). It was very well manned and the lift attendants were helpful. This point not always something I see in Bansko. At the top of the lift is a hotel, which is being refurbished. It’s here you find perfectly acceptable toilets! It is also here that you buy your return lift pass, if you didnt buy a return. Which is what we did, see video. If you want to walk down then it will take around 50 minutes to an hour. The walk up was consistently spectacular, the air was fresh smelling and the nature was bursting with colour. The hike started through forest and then moved onto rocky paths interpersed with streams as we made it up above the tree line. 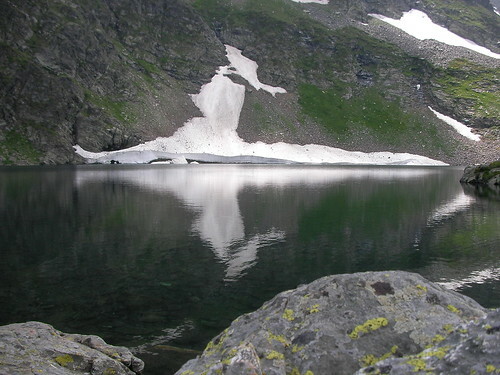 At around 2,000 metres (when walking up) you reach the first lake,Â Dolnoto Ezero (“The Lower Lake”). The second lake,Â Ribnoto Ezero (“The Fish Lake”),Â takes you up to this mountain refuge and mesmerising mountain lake reflections. 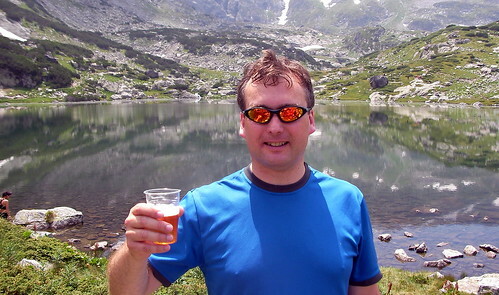 A cool beer here (2.50 leva for a 500ml) could not be resisted in the sunshine and pleasant mountain sunshine. Food is also available here… but we had already eaten our sandwiches by the first lake,Â Dolnoto Ezero (“The Lower Lake”). The separate toilets block are quite simply to be avoided if you are male – unless you enjoy thousands of flies and… well I’ll drop this topic by saying you would rather “au nature” Â than enter! 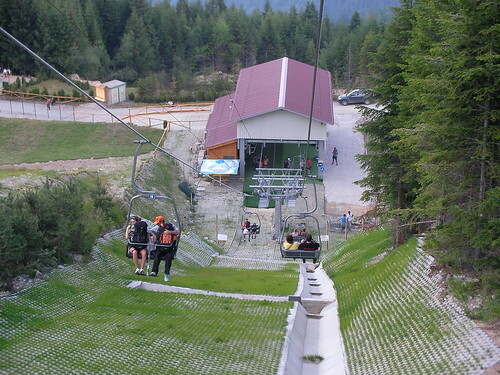 There are currently three ski drag lifts in Panichishte and the new Pionerska chair lift I took on the way down. The drag lift that starts by the top of the chair lift under the Kabul mountain looks as if it would be a very slope to ski/board in winter snow. There had been a huge amount of protest from the “For The Nature” pressure group claiming illegal construction of this lift. I am in two minds. The deforestation to make way fo the lift line seemed quite modest – but there it is nonetheless. Perhaps more worrying will be the errosion now caused by a huge increase in hikers visiting the lake area. Like in other countries, proper paths will have to be built – but I suspect this won’t happen until the damage on the landscape is more noticeable. Plans for a “Super Panichishte” project with over 100km of skiing are, at this stage, just plans without approval and the opposition to any more lifts up on Kabul mountain is predictably fierce. As it stands, on a good snow day and for those who like some backcountry skiing, this area looks amazing. 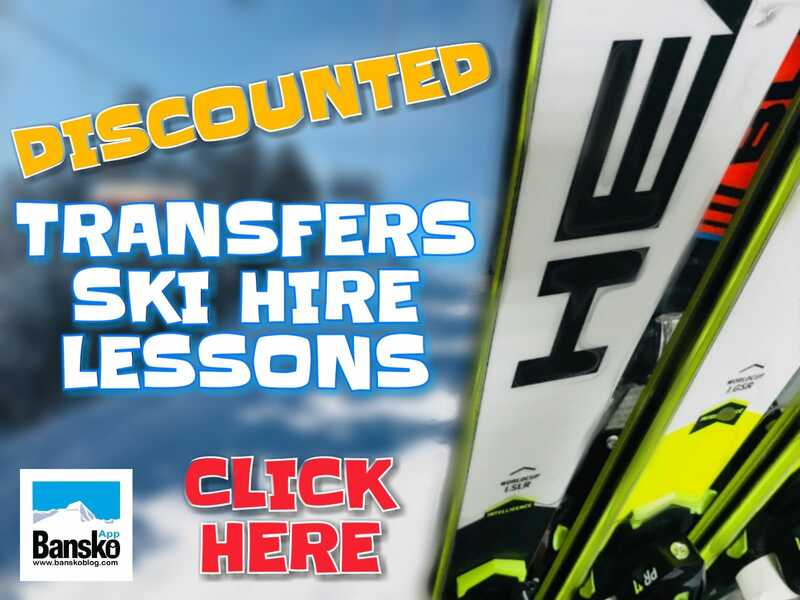 For complete ski/board beginners this has to be one of the best places to learn to ski. And learn for a lot less than the major resorts of Â Borovets, some thirty minutes away to the east. 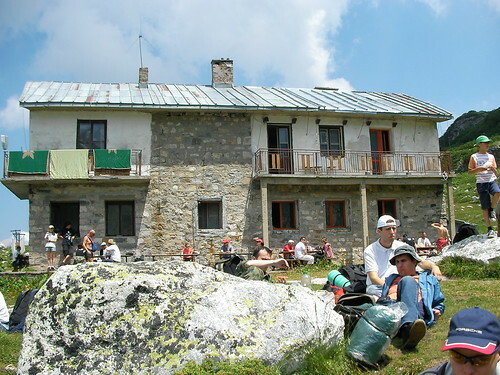 The Seven Rila Lakes, Panichishte and Sapareva Banya offer a totally different feel to Bansko and the Pirin. The area is almost totally undeveloped and untouched by man. Quite a contrast to Bansko! The region is close to Sofia – but you still feel very much away from the city. The chair lift accessability that gets you within twenty minutes walk – or even a pony ride – up to lake number five Babreka (“The Kidney”) and number six, Â Okoto (“The Eye”)Â of the Seven Lakes Area, makes this a memorable day trip Â for most level of fitness. I wont forget it and look forward to exploring this region further. I hope to take off on a paraglider on the ridge in above the top station. In fact just on Thursday some paragliders took off above Borovets atÂ Markudvik 2. Here is the link to a film of their flightÂ https://www.paraglidingbg.com/2009/07/23/no_words and includes footage of them flying highÂ above the Seven Rila Lakes. Fabulous. 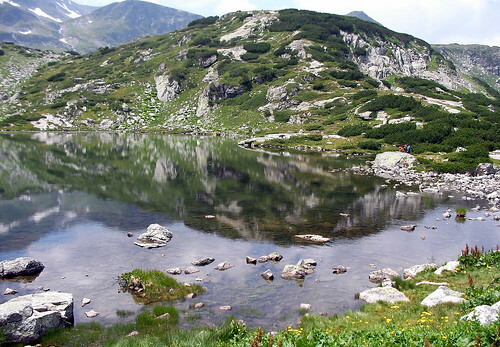 I hope this article helps you enjoy the Seven Rila Lakes Trip. I have to add that decent walking boots with ankle support are desireable. My German paragliding boots, from Hanwag, were perfect. I was the only person out of four of us who do not get wet feet or a blister. Remember sunsceen, hat, glasses, rucksack, food, water, first aid kit, extra clothes and mobile. This is a high mountain area with weather that will change in a blink of the eye. And whilst paths have good markings, they may not all be really obvious in bad weather. If you are in Bansko or touring Bulgaria as part of a longer stay, then the hiking routes could include many of the long distance routes, including a day hike to the famous Rila Monastry. I hope to undertake this – and will report back. Have you been hiking or skiing in Panichishte? 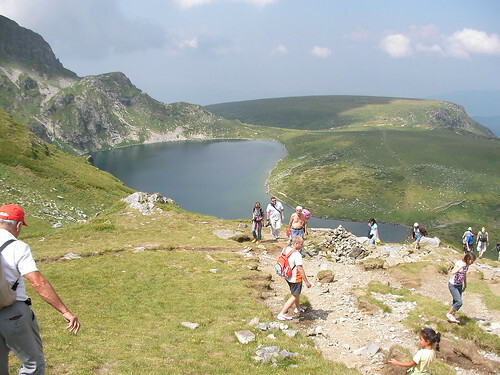 Or have you experiences of The Seven Rila Lakes and surrounding Rila routes from either the North or South side. Then do please comment below. Hi Lance, just came across your guide as I am hoping to visit the lakes in August, very informative, thank-you. I just have one question; what sort of temperature was it at the lakes? I'm guessing it's not as hot as it would be in Sofia. Can you go swimming in them or is it too cold? It's just nice temperature, around 19 to 21 degrees on a too hot Sofia day!. Hi Bob, The day I walked up here, the queue was also long… and I agree that the number of people detracts a little. I recommend either early or late to walk around the lakes or avoid Saturday and Sunday… and of course there are fewer people higher up. It is such a wonderful attraction on a fine day – it's easy to see why so many people make the journey from Sofia to enjoy the nature here. 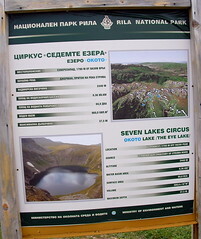 We’re from Amsterdam and are going to do the Seven Rila Lakes in a few days time. Will it really be cold up there and should we bring a coat? Or would a t-shirt and a sweater be perfectly fine? Hi Casper, I am sorry for the slow reply — this may be a bit late. But, yes always take something warm and waterproof clothes. There can be afternoon storms. Usually a T short and sweater is fine for 7 Rila Lakes at this time of year. 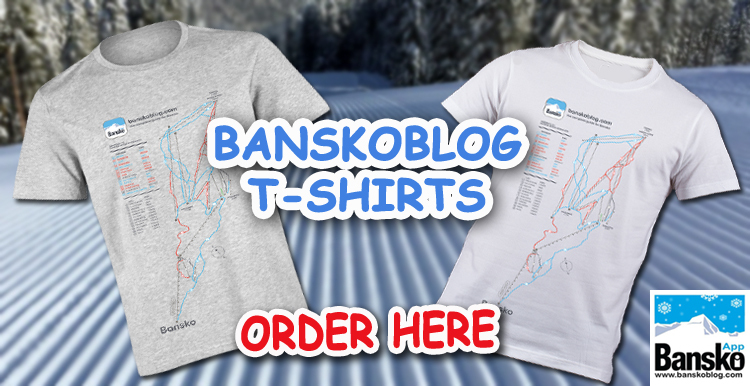 Thank you for visiting Bansko Blog!